With music festivals popping up like spring daisies, there is now a dizzying array of them from which to choose. While many of the larger scale events seem to receive more attention, there are several smaller and more intimate events that still remain under-publicized, perhaps deliberately or perhaps not. While some are veterans and others are in their infancy, they all share three common bonds: music, art and camping. This is a compilation of 10 upcoming music festivals that are intimate in vibes but infinite in greatness. They are listed in chronological order and not by rank as each one has something unique to offer. Located upon the shimmering Irvine Lake in Southern California, Boogaloo is in its 2nd year and boasts more art, more music and more BBQ. They will also be premiering the Traction Raptor speaker system at the Charlie stage, a UK-based sound company whose North American debut will be at Boogaloo. 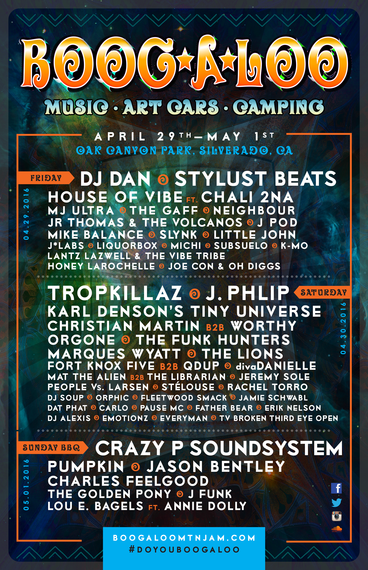 Though comprised of mostly electronic music, the lineup will also showcase a few live bands as well as some hip hop. 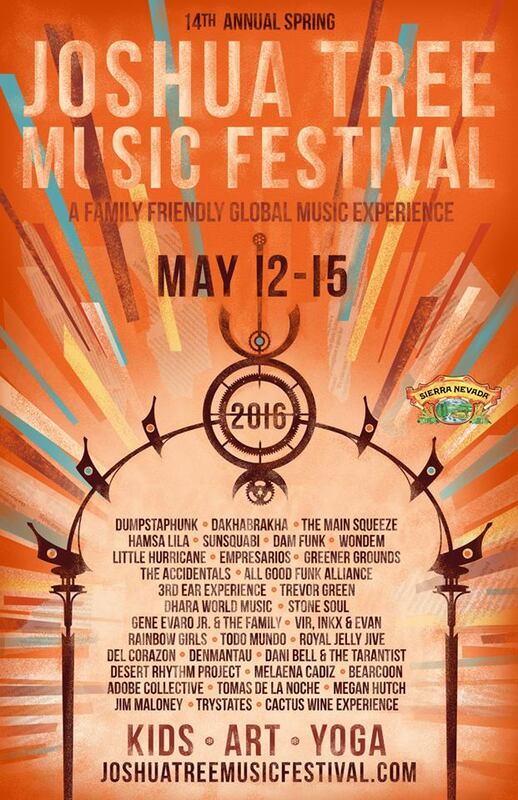 This May will be JTMF’s 14th year of bliss and music. Not only is it set in the chakra-charging landscape of Joshua Tree, but it has found a way to remain small and intimate with a heavy emphasis on family and community. There are no mile long walks to the campgrounds and no losing your friends and family which leaves more time and energy to enjoy the festival. The entire event is almost in eye shot but is jam-packed with a wide variety of musical genres ranging from world to folk to electronic. With live artists, installations, and more, Joshua Tree Music Festival is home sweet home. At the famous fairgrounds that hosted the legendary Monterey Pop Festival in 1967 is the 7th annual California Roots Festival. 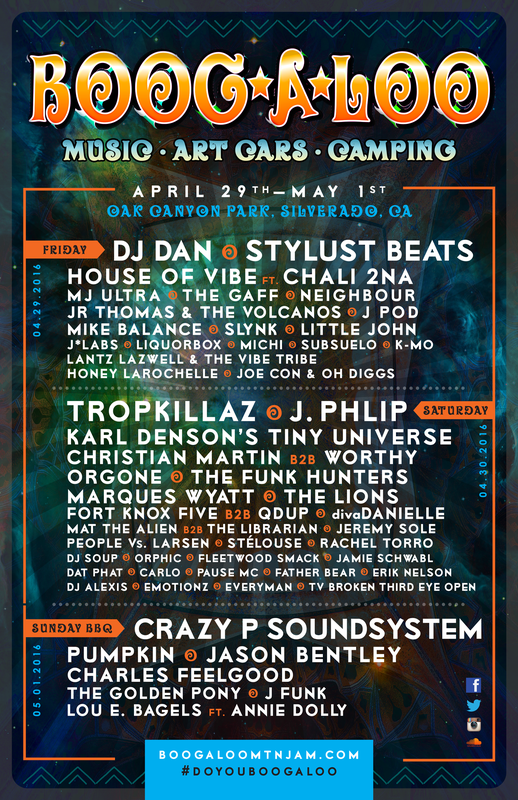 A predominantly world, reggae, dub and live band lineup, this event is unique in that the camping is not on-site but at Laguna Seca where shuttles will be offered to and from. The spirit of Jimi Hendrix is a great influence on this event as the organizers aim to follow the path he blazed for the counter-cultural revolution and of course, also proudly represent the cannabis community. California Roots boasts that they are not just a music festival, but a movement. Already in its 5th year, Infrasound is one of the most amazingly under-the-radar events in the festival community. 2016 brings the gathering to a new location and a new weekend, taking place in June instead of May. Because of the new location, the Infra-family is able to expand and offer more tickets and hopefully another sold-out year. 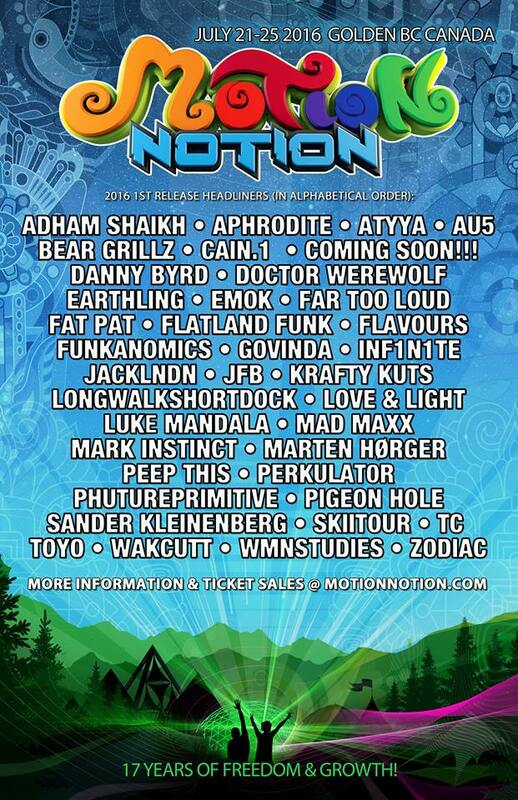 What makes this festival special is the tight-knit community of attendees, founders, organizers and artists who attend, not to mention the insanely stacked lineup they seem to book year after year who are heard through Funktion One speakers. Everyone feels welcomed and is instantly embraced as a part of the family. Celebrating its 5th year, this festival offers a diverse musical lineup in a picturesque location. 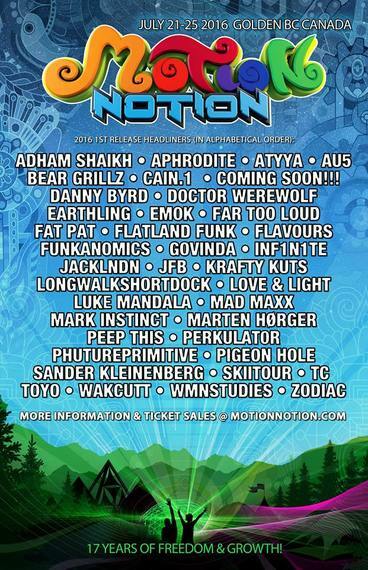 Situated in the verdant Wolf Run Ranch in Dufur, Oregon, the festival is surrounded by deep, green woods with the majestic Mount Hood and Mount Rainier gazing from above. In addition to its glorious locale, what makes WTF stand out is its several areas for sitting and relaxation as well as its giant pool stage where attendees can dance, splash and float to musical performers. The definition of genius loci is the prevailing atmosphere, spirit or character of a place. Located off dusty beach roads in Baja, Mexico, the 2nd annual Genius Loci Fest is a small gathering that offers music, camping, art, yoga and surfing. Nestled on the sandy plateaus alongside the warm waters of the Pacific Ocean, Genius Loci is one of the few festivals that allow their patrons to wake up with the waves, surf, dance, party, and repeat. Started by a tight-knit crew of Southern California artists and musicians, this event is perfect for those who appreciate the simple pleasures of festival life. The 4th annual ARISE Festival has become one of Colorado’s most popular events and stands out because of its extremely eco-conscious foundations as well as its onsite permaculture farm. Giving back to the beautiful Colorado land upon which the festival settles, the event’s founders joined with the Fort Collins non-profit organization Trees, Water & People to plant one tree for every ticket sold. Just as many transformational music festivals, there are no plastic water bottles sold to encourage the use of reusable beverage receptacles over single-use items. To take it one step further, all food vendors are required to use compostable bio-cups and flatware. There is something exciting about being a part of a festival from its genesis, to be among the first to tell your friends about it and to be a part of the magic as the organizers share their creation with the world for the first time. The 1st annual Up North Fest will be taking place in the rural lands of Copemish, Michigan. With the intent of turning attendees into participants, they will be nominating ambassadors who will assist in promoting and sharing information with the Up North community. Also, the lineup of each stage on each day will be curated by different artists and record labels making the booking process a truly communal endeavor. Taking place during a full moon, tickets go on sale on April 25th and the first phase linup will be announced on April 28th. 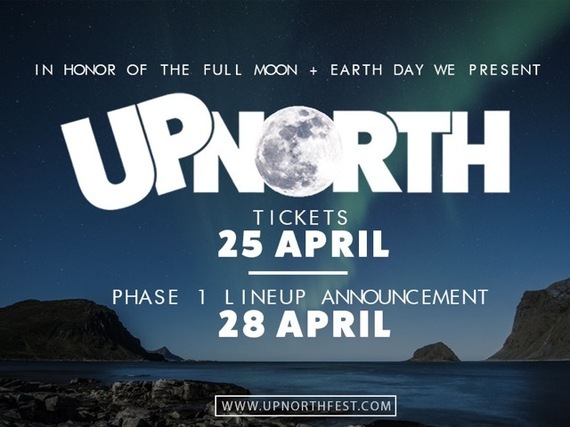 Announcing the first phase of its lineup on April 26th, Great North will undoubtedly have an impressive array of artists in attendance. 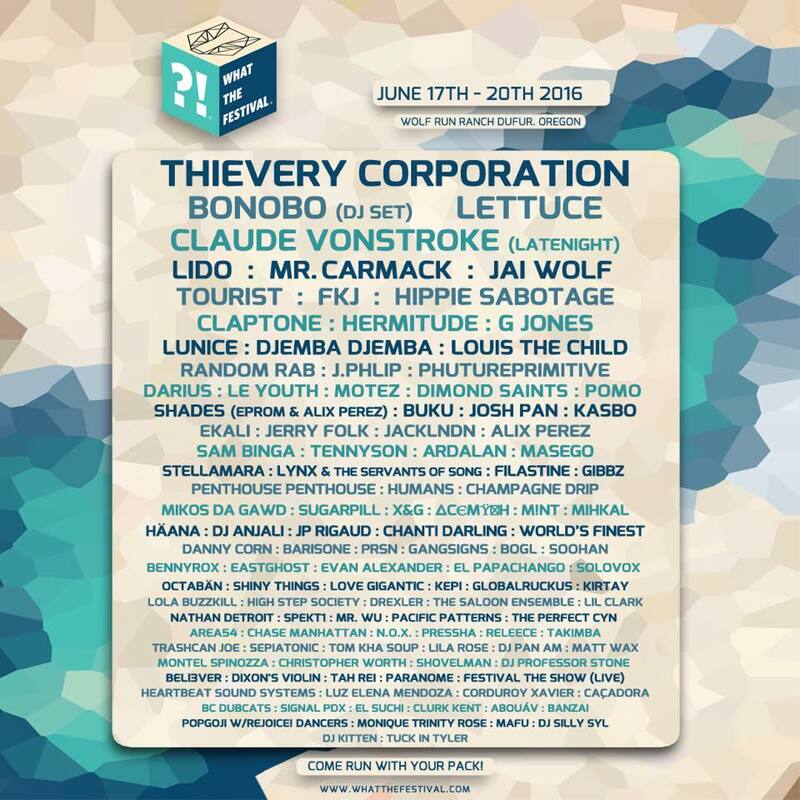 Located in the scenic state of Maine, last year’s lineup included artists as diverse as Reggie Watts, Joe Russo’s Almost Dead, CloZee, Dan Deacon and Mix Master Mike. Serving New England fare as well as locally sourced and organic food, there is a distinct style at Great North unlike any other festival. Another interesting aspect of this event are the handmade items and goodies sold in the vendor village but that is something you will just have to see for yourself. Is Rage Against the Machine Planning a New Album?